I have made mjadra (mujadara) so often I can't even count the ways. It's a family favorite that I serve on special occasions (the #1 item at my Yom Kippur Break-the-Fast), at somber times (the Nine Days), for holidays (my Thanksgiving vegetarian entree) and sometimes just for any old meatless meal. I've made mujadara using bulgur wheat and brown rice, barley and kaniwa. But I never made it with wild rice or with white rice. 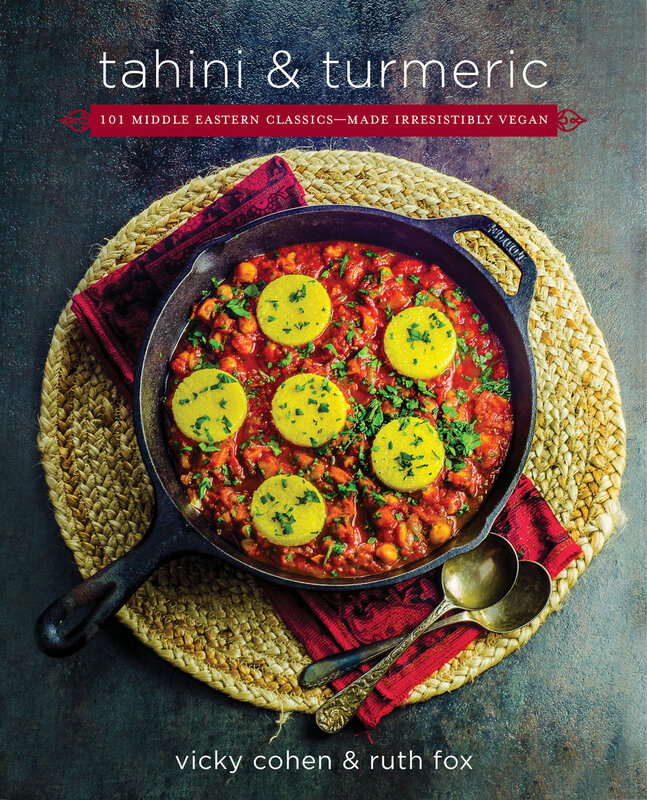 In fact, I hadn't even thought about that possibility until I got Vicky Cohen and Ruth Fox's new cookbook: tahini & turmeric; 101 Middle Eastern Classics Made Irresistibly Vegan. This is one gorgeous book, stuffed with recipes that anyone who loves good food, or who is kosher or a vegetarian or even a hearty carnivore and even a vegan-skeptic would find -- yes -- irresistible. There were (still are) so many recipes I want to try. 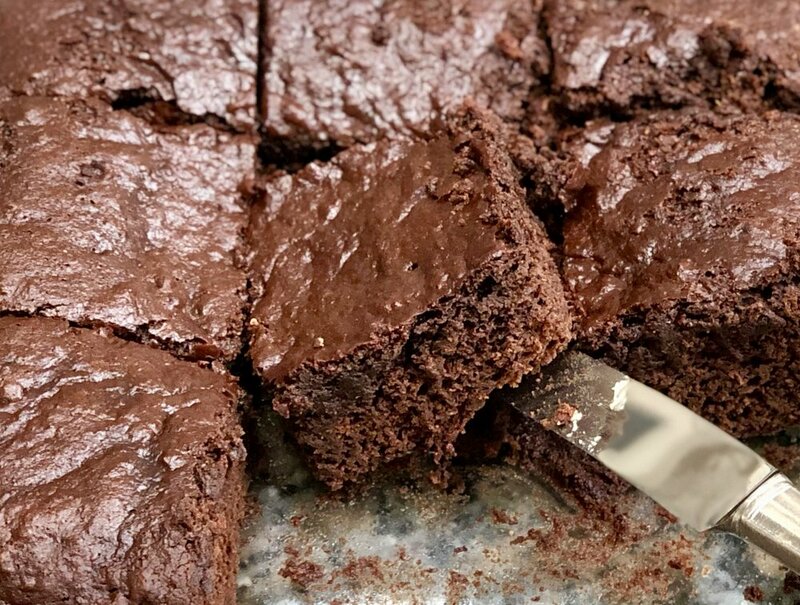 I've followed Vicky and Ruth's blog for years and have cooked many of the dishes in their posts, every one of them a winner. But when I saw the recipe for Mjadra, I knew that had to be the first from the book. It was as delicious as any version of this dish I have ever tried. The addition of pomegranate molasses to the onions gave the dish a faint, lush tang. The authors suggest one of two sauces to accompany the grains. I prepared the (vegan) Cucumber Yogurt Sauce (which is also paired in the book with Zucchini Fritters -- a delicious-sounding recipe that I will try next to see how the taste compares with my own, non-vegan version). Every recipe sounds and looks tempting. Over the summer I will try my hand at the Tangy Roasted Carrot Hummus -- a quick and easy hors d'oeuvre for the company I am sure to have. And because I love all versions of Shakshuka, I will definitely try the interesting Chickpea and Pepper Shashuka -- with rounds of polenta taking the place of the traditional eggs! (It's the recipe on the book cover.) Before the High Holidays I am going to try the spectacular-sounding Creamy Tahini Cheesecake with Pistachio Crust and Fresh Pomegranate. I could go on and on. I rarely post about cookbooks, but this one is special, and comes in handy particularly this week, when the Nine Days begin and observant Jews will be eating meatless meals. Good luck with the book Vicky and Ruth! Our take on this classic Middle Eastern dish incorporates wild rice and sautéed on-ions, as opposed to fried, for a healthier version. We also cook the rice, lentils, and onions separately, and then mix them together right before serving. This is a fool-proof method to prevent the mjadra from becoming mushy. Traditionally, this dish is served topped with a cucumber yogurt sauce, which we made using nondairy yogurt (see Zucchini Fritters with Cucumber Yogurt Sauce, page 26). 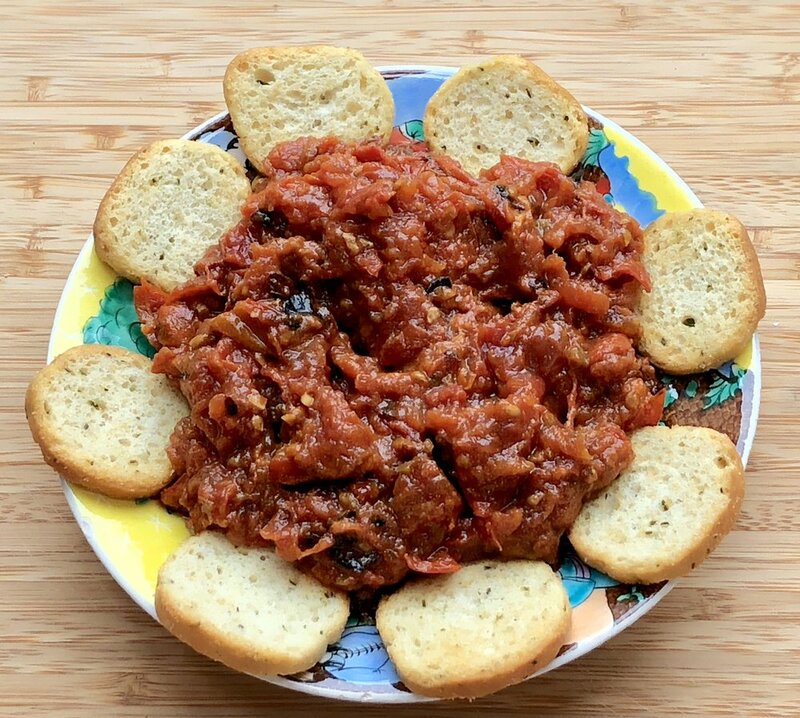 While we were growing up, our dad always ate it with his favorite Spicy Israeli Salsa (page 62), made with freshly picked tomatoes and cucumbers from his garden. Store in the refrigerator for up to four days. Prepare the wild rice: Bring 2 cups of water to a boil in a medium-size saucepan over high heat. Add the wild rice and salt. Bring again to a boil, lower the heat to low, and simmer, covered, for 40 to 45 minutes, or until tender. Remove from the heat, drain well, and set aside. Prepare the lentils: Bring 4 cups of water to a boil in a large saucepan over high heat. Add the lentils and salt. Lower the heat to medium and cook, uncovered, for 18 to 20 minutes, or until the lentils are soft but not mushy. Remove from the heat, drain well, and set aside. Prepare the basmati rice: In a medium-size saucepan, bring 1½ cups of water to a boil in a separate medium-size saucepan over high heat. Add the basmati rice and salt. Return to a boil, lower the heat to low, and simmer, covered, for 20 minutes, until the water has been absorbed and the rice is tender. Remove from the heat and set aside, covered. Prepare the onion: Heat the olive oil in a large, nonstick skillet. Add the sliced onion, salt, and pepper, and cook over high heat for 5 minutes, stirring often. Lower the heat to medium-low and cook for 15 minutes. Add the pomegranate molasses and continue to cook for another 5 minutes, or until the onion turns dark golden brown. Assemble the mjadra: Combine the cooked wild and basmati rice, the cooked lentils, and the onion in a large bowl, and toss well. 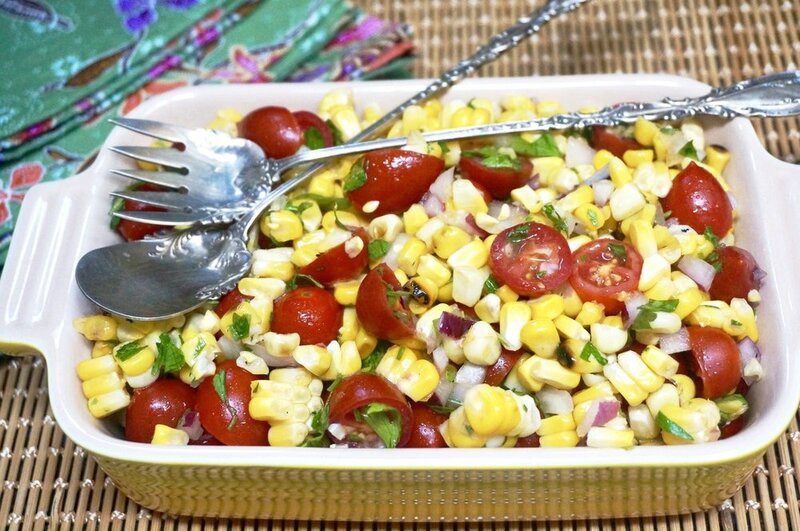 Serve warm, topped with Cucumber Yogurt Sauce or Spicy Israeli Salsa. Combine all the ingredients in a large saucepan and bring to a boil. Lower the temperature to a low boil and cook, uncovered, for 2 hours, or until the liquid has reduced to about one third. Keep an eye on it, so it doesn’t overflow. Remove from the heat, let cool, and transfer to a glass jar with a tight lid. The molasses will thicken once cooled. Store in the refrigerator for up to six months. Excerpted from Tahini and Turmeric: 101 Middle Eastern Classics—Made Irresistibly Vegan by Ruth Fox and Vicky Cohen. Copyright © 2018. Available from Da Capo Lifelong Books, an imprint of Perseus Books, LLC, a subsidiary of Hachette Book Group, Inc.